SkillOnNet owns and operates Luna Casino where you can enjoy fun-filled games in an entertaining atmosphere filled with a variety of promotional games. 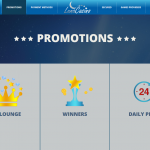 In this Luna casino review, we are going to look at every aspect of it ranging from software, games, and bonuses to payments methods. 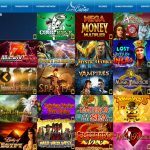 As with many reputable casinos, Luna runs on SkillOnNet’s tested and popular software. 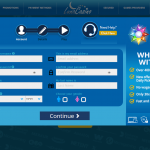 This platform gives you the option of playing it directly from your browser or downloading and installing it on your PC. The developers ensured that they created a friendly user interface by including large pictures and texts such that you can locate everything easily. Its space-themed features provide you with a relaxing blue background. You get an excellent first impression the first time you visit the online casino. To ensure a safe playing environment, the games are tested by iTech Labs to determine their fairness, and more so, it is regulated by the Malta Gaming Authority. While playing here, you are therefore assured that the results are all random. All players are welcome to register as long as there are no gaming restrictions in their countries. However, players from USA, France, Turkey, Cyprus, and Israel are prohibited from registering by certain legal restrictions. All the same, Luna has protection mechanisms for its players to encourage responsible gaming as we are going to see in this Luna casino review. To protect their players from gambling problems, Luna advocates for self-regulating behavior, which can be done privately. In case they note that you may have gambling problems, they are quick to contact you so that they can remind you of their Responsible Gambling Policy. They also advise you to use appropriate filter programs to control the websites that your children can view. Additionally, they advise you to avoid playing any of their games when your kids are watching you. As an extended measure to prevent underage gambling, no person under 18 years is allowed to play any of their games and in case one registers, his account is immediately closed. This gaming company offers both virtual and real-time games. Once you register an account, you get a chance to enjoy live games streamed in real-time directly from a professional casino studio. The ability to connect directly with the dealer and other players give live games a playing environment similar to that of land-based casinos. Some of the live games that you can enjoy here include baccarat, blackjack, and roulette. In addition to the live games, you also enjoy all virtual games offered by SkillOnNet platform. The virtual games table features most of the games you find in land-based casinos in addition to the ones that are less common. If you are into blackjack games, you have a choice of three games to choose from including Progressive Blackjack. You can also play baccarat, tent types of roulette, including the European Roulette, Craps, and hold ’em, and pai gow poker among many others. This Luna casino review would be incomplete if it missed mentioning that even those who love five-reel bonus video games are taken care of. Yes, Luna offers you a variety of themes and pay schedules to choose from for games such as Jukebox 50,000, Jenga, Kiss the Sky, Iron Man, and 300 Shields. If you love three-reel slots, you are not forgotten, as there are several of them including 7 Heaven. Once you register with Luna, you are awarded a welcome bonus package that is distributed to you within your first three deposits. 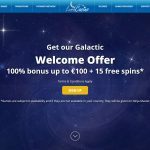 The bonus is in terms of cash and free spins. If you are a high roller, you might see the bonus as insignificant, but if you are a casual player, who plays these games for fun, then you will find them worthwhile. Additionally, there are VIP Lounge awards, which are awarded depending on your playing trends. If you are a natural player, then you are subject to bigger rewards. The VIP Lounge has two levels, Diamond and Red Diamond, both of which are by invitation and are offered to the most loyal players. This gaming company offers you several options which you can fund your account or receive your winnings. The gaming company supports popular pay methods such as MasterCard, Skrill, Neteller, and Visa. Additionally, they support several others including PayPal, Paysafecard, Giropy, and Sofort. For security purposes, all payments are subject to Know Your Customer (KYC) verification procedures. Additionally, you can only withdraw €5,000 per withdrawal and there is a monthly limit of €10,000. 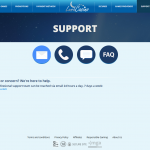 Luna has a 24/7 Customer Support that can be reached via email, a dedicated phone line, or a live chat. This full-time availability and the variety of contact methods prevent instances where you need help but you cannot access it. Additionally, the management has done everything to ensure that you enjoy playing the fun-filled games in a secure environment. To prevent an authorized access, they have given you a full list of precautions to take. They advise you to do the following. If you become suspicious that an authorized person has accessed your account, Luna advises you to do the following things. Check your financial statements and note the last time someone logged into them. Find out who that person was and then report any discrepancies. Confirm that all transactions done were by you. You are advised to report any suspicious activities immediately. As you can see from this comprehensive Luna casino review, this casino is dedicated to providing its players with a friendly and secure gaming environment. You will also note several other benefits such as the 24/7 customer support, a wide range of games including live casino, availability on instant play and downloadable, and high-security measures. The only disadvantage is the fact some players from some countries cannot access this fun-filled gaming system.